Kährs Group, a Swedish Europe-leading manufacturer of wood flooring and PVC-free resilient flooring, is constructing a pellet plant in Nybro. Directly in line with Kährs environmental and sustainability profile, the company will take care of and produce biofuel from wood material that cannot be used for flooring production. The plant will be located next to Kährs existing site and is to be operational at the end of 2018. Kährs has also entered into a cooperation agreement with Ekman & Co for sales and logistics of the wood pellets. The wood pellet plant will produce a more advanced energy product than Kährs current wood powder biofuel and will offer enhanced environmental benefits. By offering a standardised pellet product, biofuel becomes available for more users demanding fossil free fuels. Wood pellets are also less bulky, resulting in reduced transports. 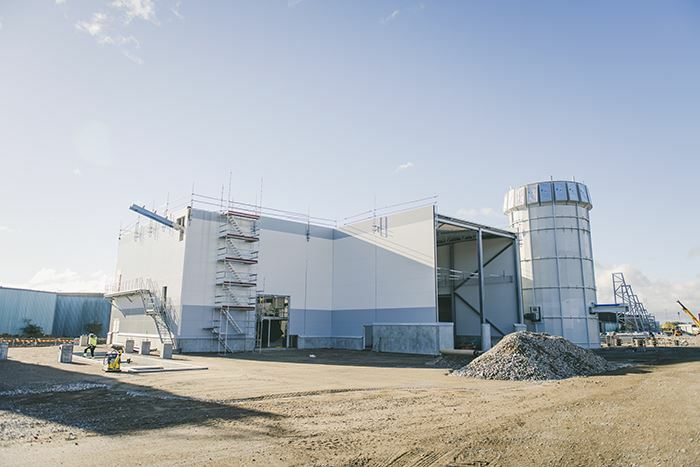 The pellets production will to a large extent become automated and integrated with the other production activities in Nybro. Kährs Group has signed a long-term agreement with Ekman & Co, a leading and respected global operator in biomass, paper trading and bioenergy market. Ekman & Co will be a commercial partner responsible for selling Kährs pellets and handling logistics from the plant in Nybro and from the storage in the local Kalmar, Sweden harbor. “We are proud of making this investment to build this facility, which is completely in line with Kährs sustainability profile. By further refining the wood fuel raw material to pellets we increase usability, while giving more opportunities to use the environmentally sustainable fuel option. We also look very positive on the cooperation with Ekman that through its experience and expertise will bring valuable knowledge of trading in bioenergy”, said Christer Persson, President and CEO of Kährs Group. “We look forward to a long-term cooperation with Kährs Group. The biofuel market has grown significantly over recent years, and pellets play an important role for both the Swedish wood industry and for the demand to phase out fossil fuels. We are delighted to be able to offer Kährs pellets products to the market when the plant is completed”, said Johan Granath, Vice-President Bioenergy at Ekman & Co. The new plant is to be operational in December 2018 and will have the capacity to produce up to 60,000 tons of pellets per year.